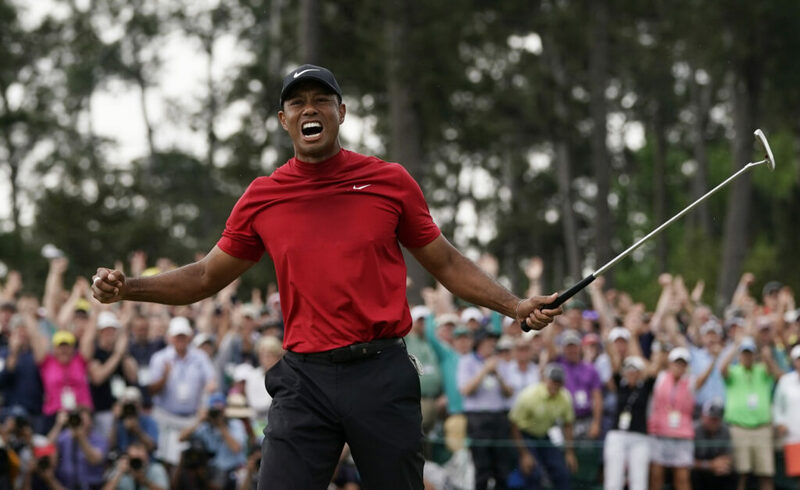 Many players gave themselves a chance in the final round of the Masters, but Tiger Woods' victory was a best-case scenario for the sport. Francesco Molinari was the leader until he hit his drive into the water at No. 12. Then it was Xander Schauffele and even Patrick Cantlay for a brief moment. Dustin Johnson was in the hunt for a while. So was Brooks Koepka. Jason Day came out of nowhere to get back into contention. The dizzying changes were nearly impossible to follow – even for players competing on the course. Roars from the crowd were coming from every corner of Augusta National. The lead was there for the taking. In the end, it was Woods celebrating on the 18th green after capturing his fifth Masters title. Koepka, Schauffele and Johnson were a shot behind. Four others, including third-round leader Molinari, were two shots back. Because of the threat of thunderstorms, tee times were pushed up several hours for the final round. Players were in groups of three instead of the usual pairs, and the leaders teed off at 9:20 a.m. so the tournament could end by midafternoon.